Slocan Valley BC, Canada is surrounded by the Purcell and Selkirk Mountains. The Slocan River carves a path down the centre of the valley. Slocan Lake is the main lake destination in the valley. The 3 villages in the valley include New Denver, Silverton and the Village of Slocan. Excited to be here in Slocan Valley BC! 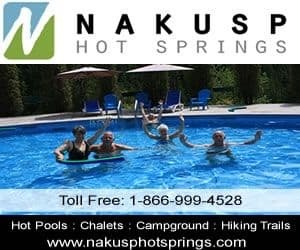 Activities most enjoyed in Slocan Valley and the surrounding areas include mountain biking, hiking, camping, horseback riding, tubing, fishing, boating, canoeing, cycling, kayaking, swimming, birding, rock climbing, and snowmobiling. A few of the more popular activity and sightseeing park and trail destinations located in Slocan Valley, British Columbia and the surrounding areas includes the Valhalla Provincial Park, Slocan Lake, Winlaw Regional and Nature Park, Slocan Valley Rail Trail, Bigelow Bay Regional Park, Galena Trail, and the Slocan River. The most visited sightseeing attractions, art galleries, historical sites and cultural venues in and around Slocan Valley, British Columbia include Nikkei Internment Memorial Centre (New Denver) and good selection of art studios. Travel services important to travelers are found in the villages of Slocan Park and New Denver in the Slocan Valley. Services include accommodations (vacation homes, cottages, bed and breakfast, rental suites, hostels), guides, campground, pub, gas station, liquor store, convenience store, and internet. Most of the main services are located in nearby Nelson, BC. Explore Slocan Valley, British Columbia, Canada Travel Guide for Accommodations, Attractions and Adventure. eh! Plan to Visit the Slocan Valley today.